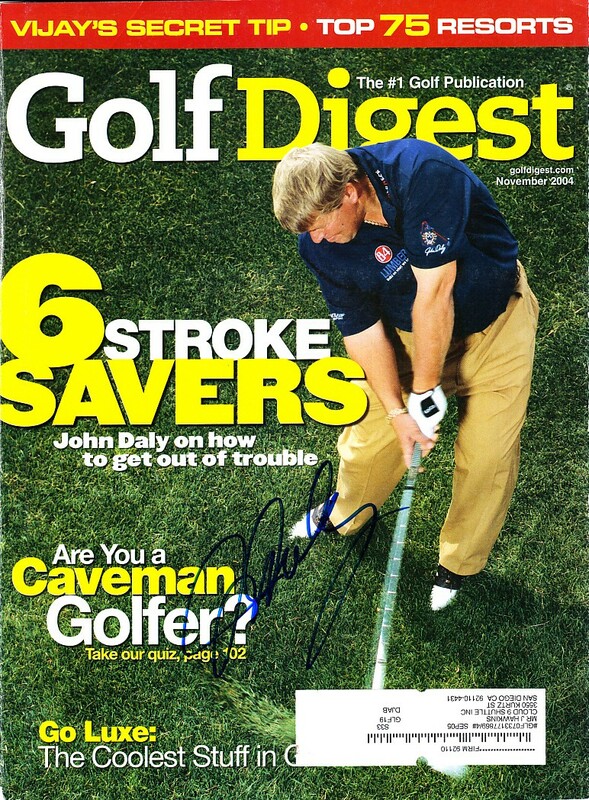 2004 Golf Digest magazine COVER ONLY autographed nicely in blue Sharpie by PGA Tour star John Daly. 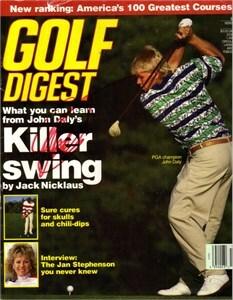 NOTE: cover has subscription label and minor flaws and wear. With certificate of authenticity from AutographsForSale.com. ONLY ONE AVAILABLE FOR SALE.